The Capri I won in a raffle. 1971 Pre facelift 1600XL 11 previous owners . 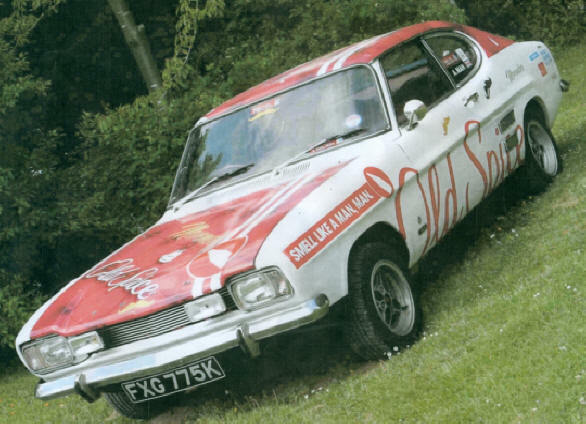 The Capri had been used in a promotion around the country to promote men's Old Spice products and used the slogan Be a Man Man. Europe, I am told that the Mk1 was the only one not to break down. (see U Tube) so a few dents and dings were added en route. It is in a bit of a sorry state now. We are looking at getting it restored or maybe sell it on for restoration. Sadly this car was sold September 2017, it is now in a private collection.